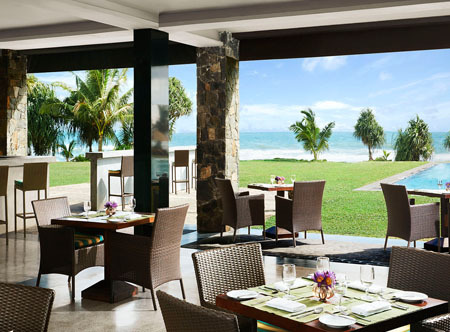 Positioned on a rocky headland with views over a golden sandy beach, this elegant hotel sits on the edge of Galle. Blending a traditional design with simple, modern interiors it's ideal for visiting Galle, whether for shopping, exploring colonial sights or enjoying afternoon tea. Rooms are stylish, the cuisine positively sinful, the spa blissful and the pools as vast as the ocean they seem to blend into. To enhance your stay why not take a serene ten minute boat ride down a short waterway to the Jetwing Kurulubedda where you'll discover stilted dwellings and the wonders of nature. In deluxe sea view rooms with king size bed, air-conditioning, bath and separate shower, mini bar, safe and balcony or terrace. Club wing deluxe rooms with complimentary daily afternoon tea, evening cocktails and canapes and other benefits, larger one bed themed suites with separate living room, one bed superior suites in the Club Wing. 11 Jan-20 Dec 19 if you book at least 45 days before arrival. 01 Jan-31 Dec 19 if you stay at least 5 nights.